While Nintendo regularly provides slightly different portable editions for their console line with new features, one mechanic will be making its way into Yoshi’s Woolly World on Wii U for free. 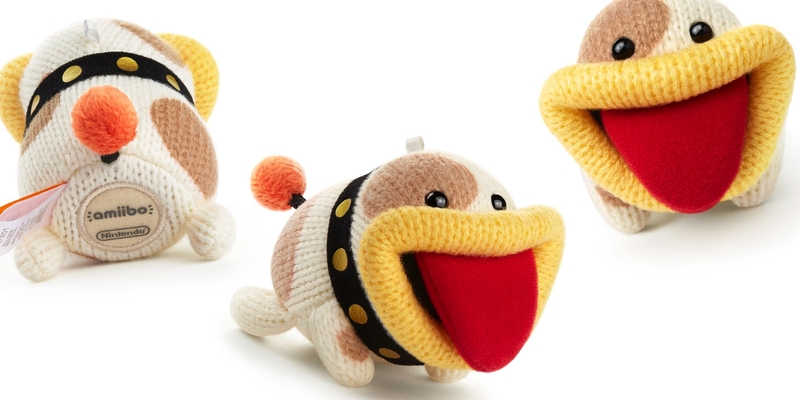 The 3DS version, Poochy & Yoshi’s Woolly World, is heavily centered around the entire gimmick of adding Poochy into the game, but you'll be able to scan the yarn Poochy amiibo into the original on Wii U thanks to an update. Japan already has version 1.1.0 that allows this, and North America and Europe are expected to get that same patch closer to the launch of Poochy on 3DS. While some people will probably be upset that this portable port isn't getting as many exclusive features, it's always great to see the original isn't left in the wind.